Kure Construction, Inc. is a full-service residential and commercial construction company. Whether you need a small-scale renovation or desire a custom-made home, we are committed to helping you create a space you will love and enjoy for years to come. We also have an in-house interior designer to help you along the way should you have dilemma's. We focus not only on the construction but on the practicality and efficiency of your space(s) as well. We guarantee accurate proposals geared to fit budgets of all sizes and projects that perform to plan, both of which have made us one of the most outstanding and trusted residential construction companies in the state. Call us at (630) 306-7000 today to schedule a free estimate in which we will work together to talk about your vision and evaluate your needs. WHY SHOULD YOU CHOOSE KURE CONSTRUCTION, INC.? We welcome and encourage client participation at every step in the process. Our number one goal is to ensure our clients are 100% satisfied. Our experience, belief in open communication and high quality standards enable us to guide clients through each phase of the building process. We pride ourselves on our reputation for staying on budget and on schedule and providing high-quality work. Finishing Touch Installations, Inc. assists homeowners in unlocking the full investment value of their homes. Through smart style selections, expert design partnerships and personalized project execution, Finishing Touch Installations, Inc. brings conscientious quality, professional workmanship, and intrinsic integrity to home remodeling in the Fox Valley. We greatly appreciate the partnership and trust our clients confide in us, ensuring each project is tailored to the needs of the homeowner and treated as though it were our own. General, or construction contractors, are often known as project managers. They oversee the entire remodeling or new home construction project and facilitate all day-to-day tasks that move it toward completion. A Boulder Hill general building contractor will work with your architect to review plan as you build a house and ensure everything is in place before work is started as well as arrange for permits and necessary inspections. 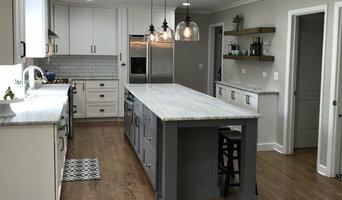 While good local home improvement contractors in Boulder Hill will have the skills to handle certain tasks onsite, such as carpentry, he or she is also responsible for hiring subcontractors for the majority of jobs, such as electrical work, painting or plumbing. In addition, the general contractor should be on-site regularly to inspect the progress and resolve issues. Here are some related professionals and vendors to complement the work of general contractors: Architects & Building Designers, Interior Designers & Decorators, Landscape Architects & Landscape Designers, Kitchen & Bath Designers, Specialty Contractors. Home remodeling contractors are a must for successful completion of a renovation. Because of this, it's essential that you do your homework before deciding on the right general contractor in Boulder Hill as you remodel or build a house. Inspect bids carefully. Was it ready when the contractor promised it? Was the bid for building a home unusually high or low? Each of these things can be very telling: A late bid may reflect timing standards, and an off-the-mark bid could be code for a pricey premium or a deliberate underbid to score the remodeling job. You should call references, carefully read reviews and visit completed projects in Boulder Hill, IL to see if they’re what you expect for your job. Once you do secure your local Boulder Hill contractors, read the contract very carefully to be sure everyone is on the same page. 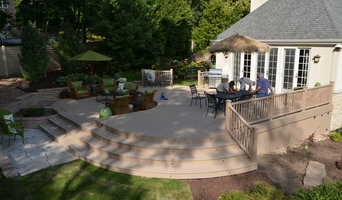 Find a Boulder Hill contractor on Houzz. Narrow your search in the Professionals section of the website to Boulder Hill, IL home contractors. You can also search for photos in Boulder Hill, IL and contact the Boulder Hill general contractor who worked on the project.